Mi2N.com - The Shari Puorto Band’s New LIVE Album Release, Live At Bogies & Summer Tour, 2018. The Shari Puorto Band’s New LIVE Album Release, Live At Bogies & Summer Tour, 2018. 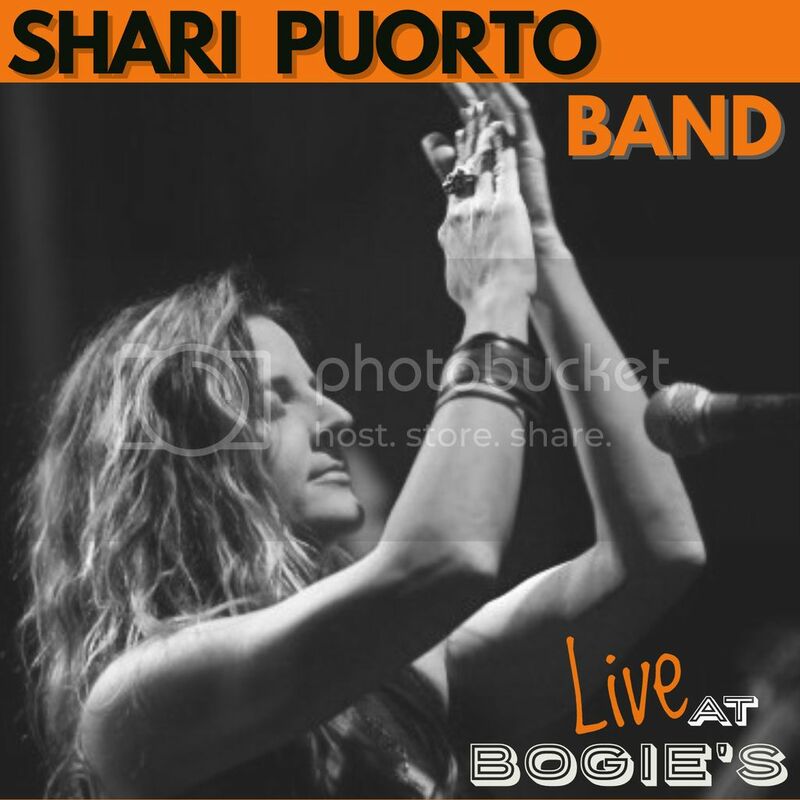 Little Lightning Productions is pleased to announce, The Shari Puorto Band’s new LIVE Album release, Live at Bogies & Summer Tour, 2018. Making their way across the US from L.A. to the St. Louis are, Nashville, Alabama, and beyond. American Blues/Rock/Roots singer, songwriter and performer Shari Puorto and her band will release their new Live album Live at Bogie’s on Friday, 20 April 2018. The new album will be supported by a nationwide tour, PR and radio program. Tour will kick off at the Rhythm Room in Phoenix, AZ on April 20. Shari’s recording career launched in early 2000 and since then, the charismatic young singer-songwriter has earned a reputation as a powerful live performer and songwriter. Since 2005, Shari released a series of albums that have shown her diverse creative attitude consistently taking her in new and exciting musical directions. Live at Bogie’s is a project Shari has been wanting to release to her fans for many years. Shari’s studio releases are top-notch and are always true to her sound and ability. But they don’t compare to her live performances or capture the raw energy, emotion and passion you will see and hear at her shows. We believe this 11-song set “showcases” how Shari & her band hit you where it counts with her originals and chosen covers. I’m constantly challenging myself both onstage and off stage because that’s how you grow and how you realize what works and what feels right!” Shari says. Shari is already working on songs (co writing with Barry Goldberg (The Rides), Don Randi (Wrecking Crew), John DePatie, Johnny Hawthorn and others) for her 5th Studio release to come out later in 2018 or early 2019. Live at Bogie’s showcases Shari’s memorable originals like, It’s a Damn Shame, Home of the Blues, Outta My Mind, 6 Months Sober, Sugar Daddy, All About You, & All I Want is You, while also performing Shari’s (and her fans) favorites such as, Steve Winwood’s, ‘Can’t Find My Way Home’, Randy Newman’s ‘Guilty’, Savoy Brown’s ‘I’m Tired’ and Candi Stanton’s ‘Evidence’. These covers also demonstrate Shari and her bands interpretive skills. Shari & her band recorded Live at Bogie’s in Westlake, CA with the Live recording by, Mike Sutherland, Mixing and Mastering by David Carey, at Rock Room Productions/Total Access with whom she worked previously on her earlier releases, My Obsession (Producer Tony Braunagel), Real, and Down the Road which have topped both National and International Blues and Roots charts. Shari Puorto Band is a Blues/Rock/Roots Band with a whole lotta soul who have been touring together for many years. With notable nominations and awards under their belt they continue to electrify audiences from Coast to Coast and abroad. With Shari’s band, you will see and feel and band combining today's Modern Blues/Rock with yesteryear's traditional Blues, a little country and a little Blues/Funk. If you haven't seen them yet, you must! It's an experience you will not forget. Their connection with the audience and performance are infectious! Once you see their show you will understand why people are captivated and come back for more. "We know how to bring an audience together and allow them to feel something deep within their souls they never thought existed." Shari says. Shari’s band consists of So-Cal’s finest and sought out musicians, John DePatie on guitar, Frank Scarpelli on bass, Mike Sauer on drums (and background vocals) and Jon Greathouse on keys (and background vocals). - 2018 & Fall 2015: Selected & Featured, Unsigned Blues Artist on KJAZZ, 88.1FM with the Wagman. - 2017, Pre-nominated by the Grammy committee in 3 categories and up for nomination at the 59th Grammy's in the following categories: Americana: Album: MY Obsession, Song performance: ‘Sugar Daddy’, Song written: ‘Turned to Stone’. - 2010, Winner, Best Female vocalist, South Bay Music Awards, among other notable nominations.